Today, we’re going to show you how to set up your first Instagram ad. 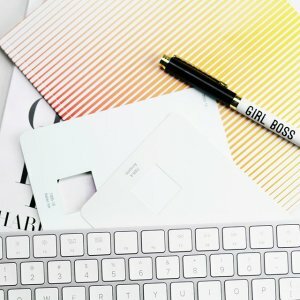 Whether you’ve grown your Instagram following to the tippity-top and you’re feeling like a boost OR you’re preparing to launch something ah-mazing, making the decision to set up your first Instagram ad can be pretty scary. Are Instagram ads worth the money? What are you meant to say in an Instagram ad? How do you set up your first Instagram ad to get the best results? Where do you even begin with Instagram advertising? Well, today we are here to hold your hand and walk you through the process of setting up your first Instagram ad. This is so that you can get the best results possible straight off the bat. If you are ready and raring to get started on your first Instagram Ad you can start creating it as we go through this blog post – it’ll be like we’re working together on it! How cool is that? Before you start to set up your first Instagram ad you’ll need to come up with a creative idea or ‘concept’ that will help you to capture the attention of your ideal customers while staying true to your brand. Finding it a wee bit tricky? Don’t worry, we know how hard it is when there are endless options! video skit that they want to click on your advertisement to learn more about your unique brand? Or will you work with an Instagram influencer (ideally an existing brand ambassador) to create an Instagram ad that creates a bit of FOMO and encourages sales of your product? As the experts at Instagram have shared,“compelling ads on Instagram have a strong concept tied to a clear objective”. When you know exactly what you want to achieve with your ad (like a sale of your product) you can draft a concept that will help you to make that happen. PSSST -> Want to know some of the latest Instagram Updates? Check them out here! When you are coming up with a creative concept for your first Instagram ad you may find that you are more drawn to creating a photo-based ad rather than a video-based ad. But don’t forget – there are a LOT of creative ways that you can advertise on Instagram! For some interactive examples of these ads take a peek at Instagram’s handy guide! In our experience, Instagram Stories ads can help you to achieve a low cost-per-click when set up correctly, so definitely give these a try when you can! PRO TIP: Here’s an Instagram Stories ad tip that we’ve learnt along the way. Be sure to keep your individual videos 14 seconds long to ensure there are no issues when you start creating your ads. When creating Instagram Stories video ads that have two or more ‘parts’ you may find that they won’t be approved if the individual videos are 15 seconds long. If you’d like to know the ‘easiest’ Instagram ad format to get started with, we’d say that a Single-Image ad with fantastic copywriting is your best bet. If you want to get the best possible bang for your buck when you set up your first Instagram ad you better be sure to choose a good objective! We’ve found that optimising your Instagram Ads for very specific outcomes like Mobile App Installs, Website Conversions and Website Clicks will get you real-world results. Making sure that you’ve got everything set up correctly when you choose your objective will mean that you get the best possible results when you set up your first Instagram ad. 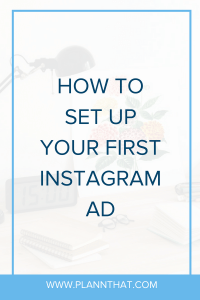 If you’re ready to start to set up your first Instagram Ad, let’s skip right to the tutorial! 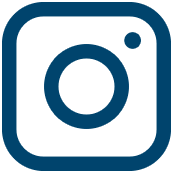 The simplest way to get started with Instagram advertising is to go through the Facebook Ads Manager. 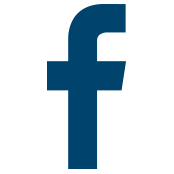 To get here, all you’ll need to do is log into the Facebook personal profile that is linked to your Facebook business page. Step Two: You can click ‘Create Ads’ to skip straight to creating a new one. Or, you can click ‘Manage Ads’ to review your existing or past ads. If you have clicked ‘Manage Ads’ you’ll be taken to Facebook Ads Manager. From here you’ll choose the Facebook page that you want to advertise with, and as long as you’ve linked your Instagram account to that business page you’ll be able to set up your first Instagram ad. Step Three: To get started creating your first Instagram ad, click the green ‘Create’ button. Here you’ll be asked to choose your objective, which you’ll have already decided on, and from there you can start setting up your ad. Step Four: If you’d like to test out audience variations of your first Instagram ad to see which gets you the best results you can choose ‘Create multiple new ad sets’ after choosing your campaign objective. On the other hand, when choosing your campaign objective you can choose to run an a/b test so that you can try different creative options for your Instagram ad. You could run all the variations of your ad for $5/day for a few days. Then, you can see which gets you the lowest cost per result and then switch off the ads that are the most expensive to run. After your test, you’ll be left with an Instagram Ad that gets you a low cost per result (what you want!) and if you like, you can increase your daily ad spend limit. Already have a piece of Instagram content that resulted in a lot of website traffic or sales? Don’t reinvent the wheel, instead use that same piece of content and the caption and create an Instagram newsfeed ad! Have a large Facebook or Instagram following? Choose to use a Lookalike Audience for your Instagram ad. You’ll have your ad shown to people with similar interests and of similar demographics to your existing audience. Make sure your ads don’t look like ads! If you are advertising on Instagram that doesn’t mean you need to have a big graphic that says “SALE ON NOW!”. Instead, use creative that is more authentic to Instagram. For example, an Influencer wearing your product or a flatlay featuring your product. Keep the copywriting short and sweet. On Instagram, users could be scrolling at a million miles an hour. Let your image/video capture their attention. Use your words wisely so that you can encourage readers to take you up on your call to action. PSSST -> Have you ever wondered what the perfect length for an Instagram caption is? Find out the answer here! One of the most important things to remember about your first Instagram ad is that it is all about learning. Your first ad probably won’t be perfect. But it’s a great opportunity for you to test out different creative options. You’ll also see which one appeals best to your audience. You’ll also know for future whether you want to keep creating ads with the same campaign objective. Or you may want to spread your wings and try something different next time. If you want to take your Instagram Advertising to the next level and consistently grow your business it’s well worth setting a monthly budget. This can be put towards your ads so that you can test, review, rinse and repeat. Your budget could be anywhere from $40+ per month; you’ll definitely save a lot of money if you can learn how to optimise your Instagram ads on your own! Did you find this blog helpful? Be sure to share it with your Instagram-loving friends who want to set up their first Instagram ad too! PSSST -> If you want to really take your Instagram game to the next level make sure that you’re on the list for Plann desktop. This new desktop version is coming soon, and it’s going to totally change the way that you ‘gram.